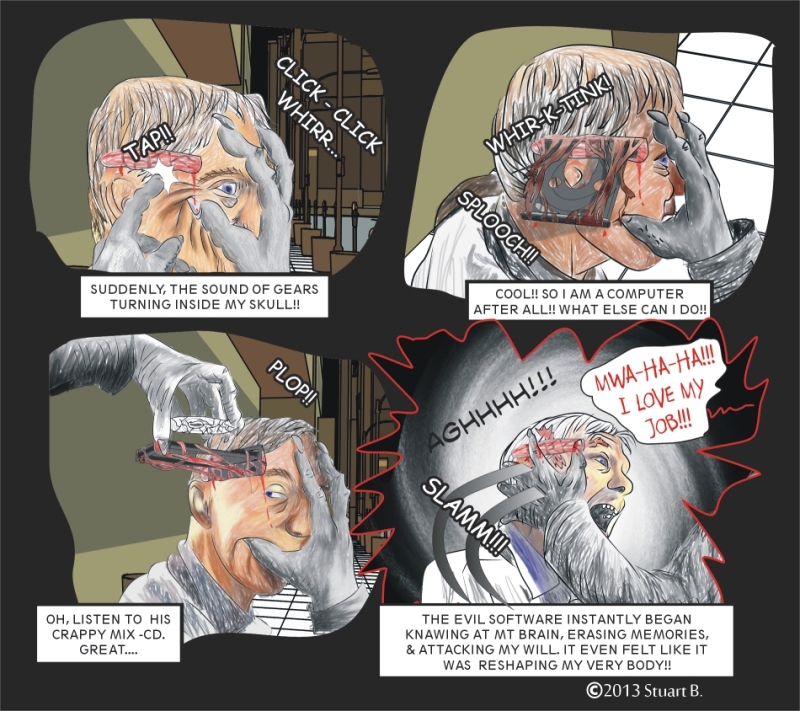 Bet you didn’t see that coming – a CD player in his head! Fasten your seatbelts folks, changes are coming to the Smithee style! All that digital painting – while fun, sure takes a long time. I’m going to simplify. I’m going to try doing the comic the way I originally intended 2 years ago.